Will Keratin Treatments Damage Your Natural Hair? As more and more women choose to go natural and leave all traces of a relaxer behind them, I get more requests to do keratin treatments. And with more requests comes more questions about them, especially when a lot of natural women have never heard of keratin treatments. First, let me explain what a keratin treatment is. 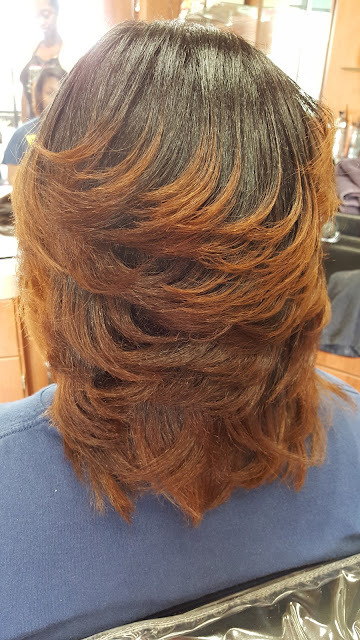 A keratin treatment basically will eliminate the majority of the curl from natural hair for up to twelve weeks. It is actually a "treatment" so it does not damage the hair. As a matter of fact, even women with relaxed hair can get them too. Keratin is a protein that we already have in our hair. Getting a keratin treatment adds more protein to the hair allowing it to become stronger and smoother, and restores hair that may be damaged. They are more popular with natural hair due to the fact that they allow natural women to enjoy straight hair temporarily before their curl pattern returns. The benefits are that they do strengthen and treat the hair so the more often you get them, the healthier your hair can become. Also, for natural women, in addition to letting you enjoy straight hair they also allow you to enjoy frizz free hair and hair that will not revert back to your natural curl if you decide to get it wet. 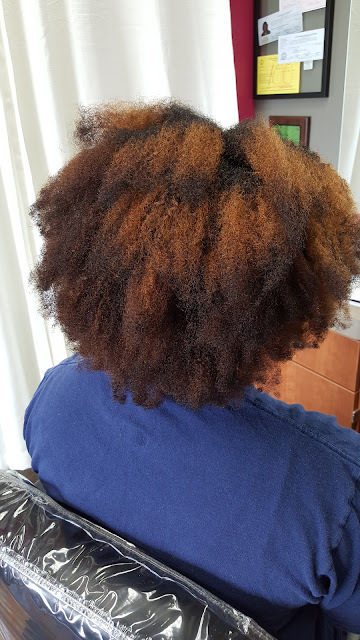 With the client featured in this post, the first picture is her hair in its natural state. As you can see it has a tight curl pattern. It also has lots of shrinkage when it gets wet. She decided she wanted a keratin treatment to allow her to be able to make it much easier to manage her hair. She has a busy schedule and without the keratin treatment the only hairstyle she wore was a big puff ponytail on top of her head as she had no time or desire to do anything different. Some of the common concerns are will keratin treatments damage your natural hair. The answer depends on which one you use. There are many different brands and companies that sell keratin treatments and not all are created equal. If they contain formaldehyde be sure to stay away. Also, always allow a professional hairstylist to perform this service for you. Another good tip would be to find out which brand your hairstylist uses and do your own research on that brand. Look for common causes of concern with each brand. If when researching brand "a" and you see many people saying the same thing about it then you can pretty much form an opinion of how it will do in your hair as well. Most keratin treatments actually help the hair instead of harming it but just be sure to ask your hairstylist as many questions as you need to until you are comfortable with getting it. The last two pictures are the after results of the keratin treatment. 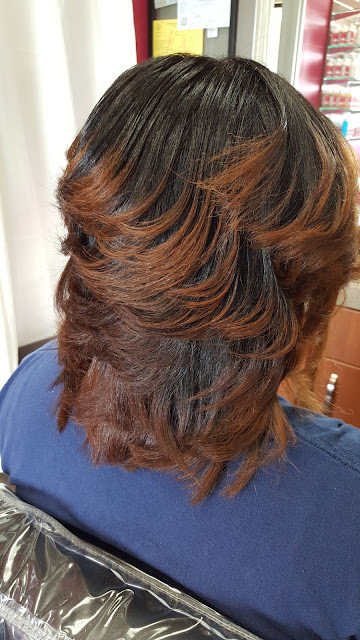 This client will be able to enjoy having her hair like this for up to three months. After that, all of her hair (not just the ends) will return to its original curl pattern. If she chooses to get another one, she will have to get all of her hair done again and not just the root like you would with a relaxer. This is kind of the best of both worlds for natural women because you get a break from your curl and can enjoy straight hair without having to permanently commit to a relaxer but then you get all of your curls back without having to transition all over again. What about the high heat that is necessary to apply to the hair to set the keratin treatment?